Lomography has just launched the latest collection to the Diana F+ family, namely the Diana F+ gold and Diana F+ champagne. 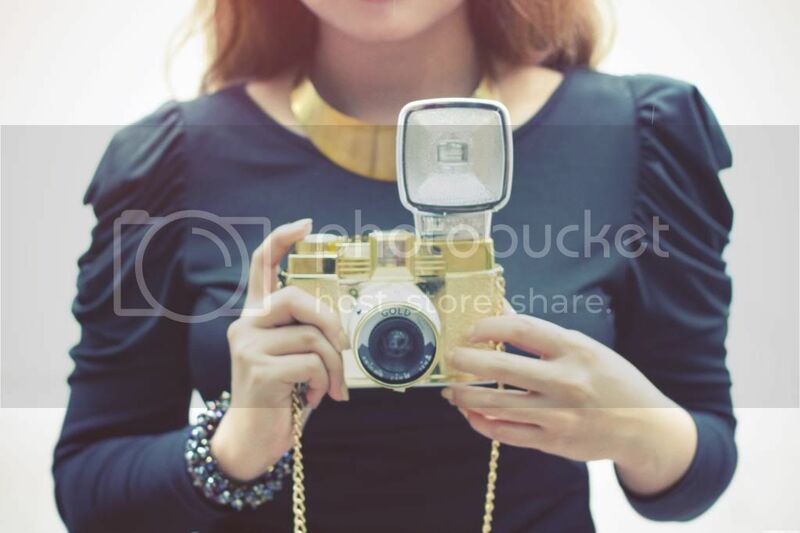 I had the chance to create different looks with the Diana F+ gold camera that has the charm of Diana series vamped in a festive stylish camera body. 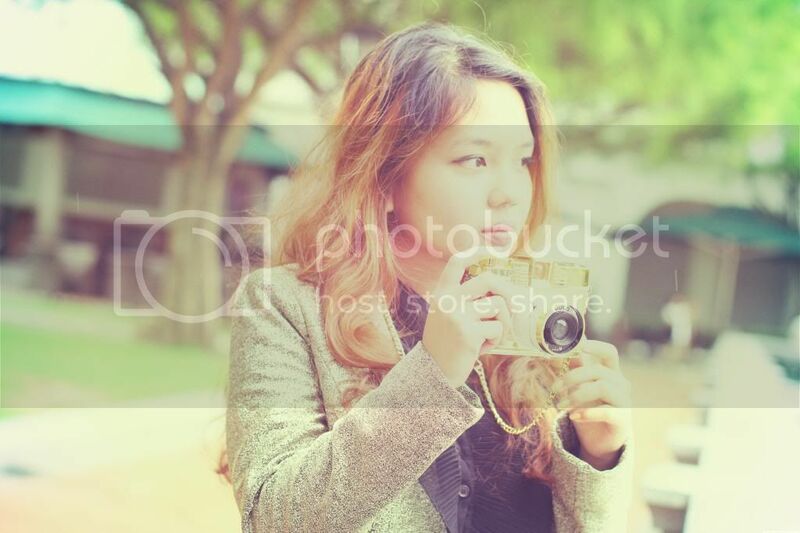 You can get the Diana F+ Gold edition for SGD 198 via Lomography shop. 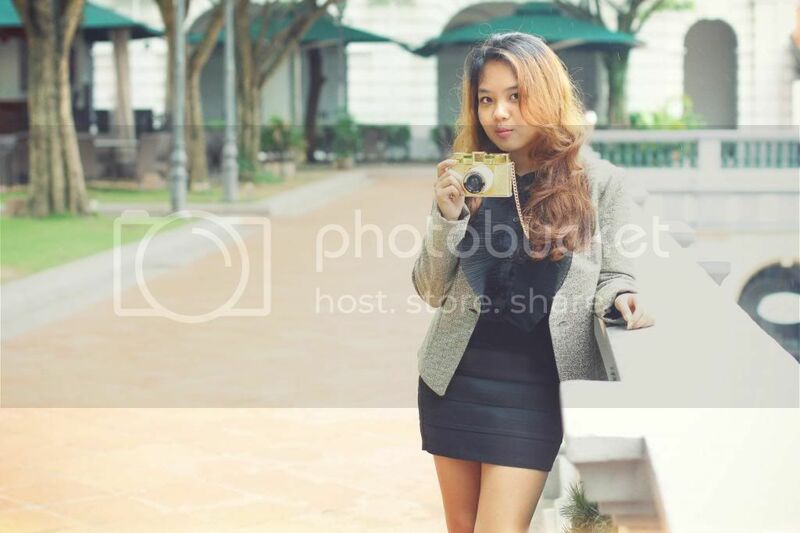 To know more about this latest edition, you can check out Lomography Singapore facebook and twitter. For the first look, is my go to daily outfit, worn for day out or event. Added the element of gold blazer to match the Diana. 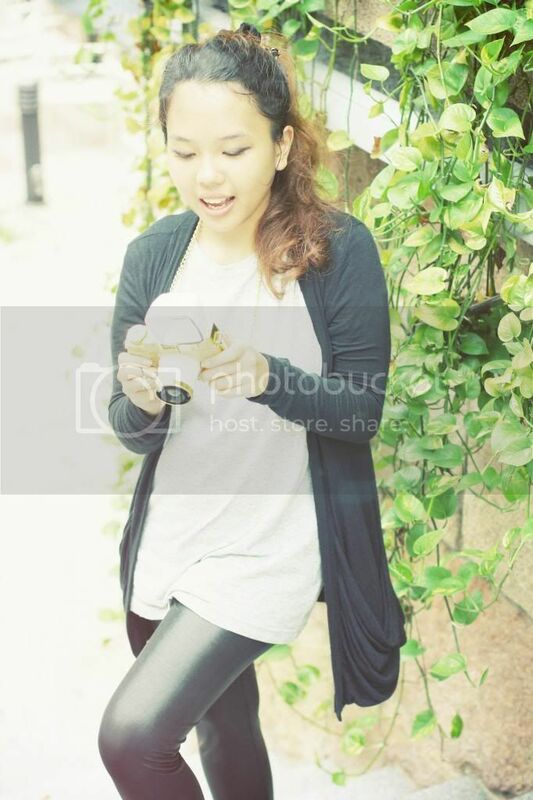 For the second look, I feature the simple dressing of what i wear when I work for a photoshoot. Opt for something simple and comfortable that allows for free movement. I prefer monochromatic colors but combining texture. Last but not least, the evening look with my favourite sheer skirt. 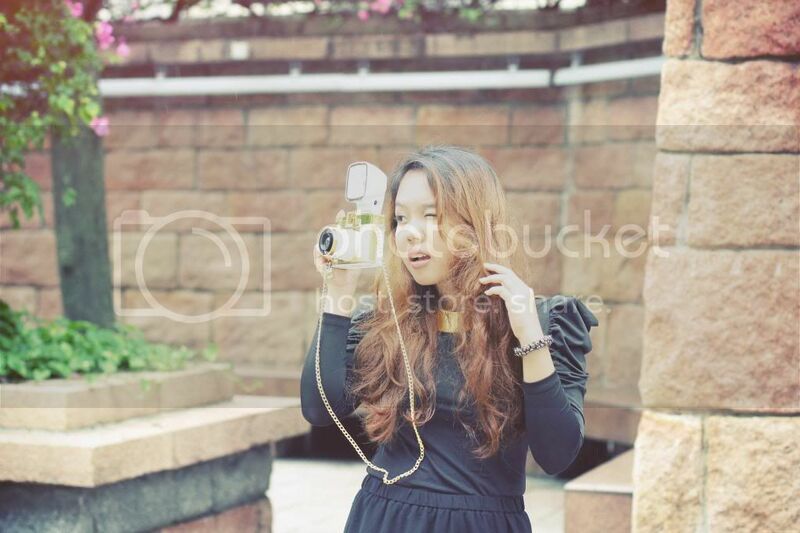 The Diana F+ is equipped with flash too, so it is suitable to be brought for evening event, night or indoor shoot. 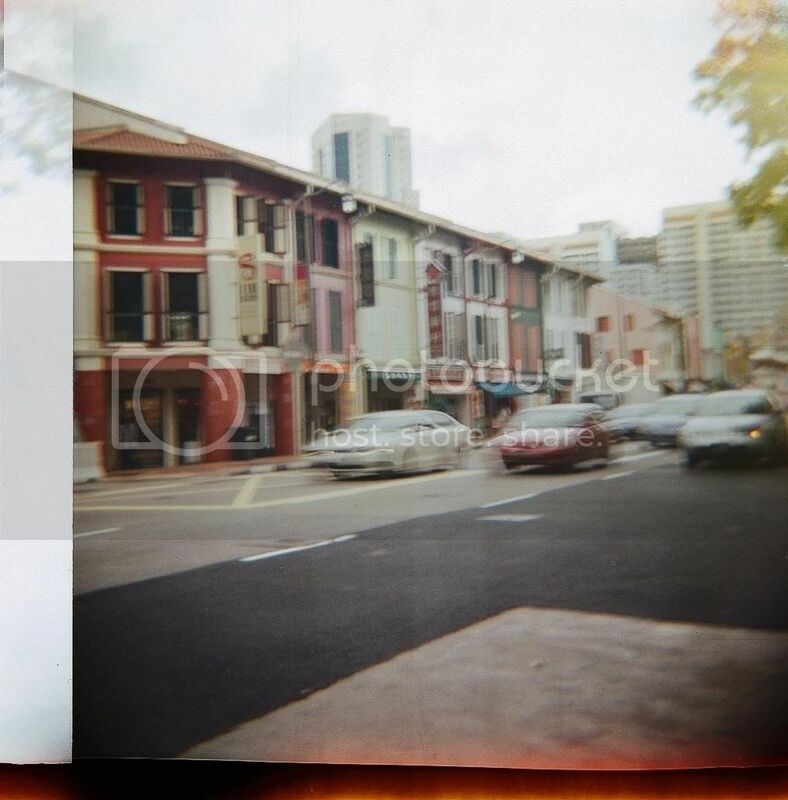 I also did my first shoot with Diana F+. I love the effect, but there is a bit mistake when i want to take the negative out for processing, i haven't winded it out fully, so it has grunge and light leak on the photos. More about the camera, it has 2 image size mode (full frame and smaller square), 2 shutter speed (normal/long exposure), with 4 color balance. 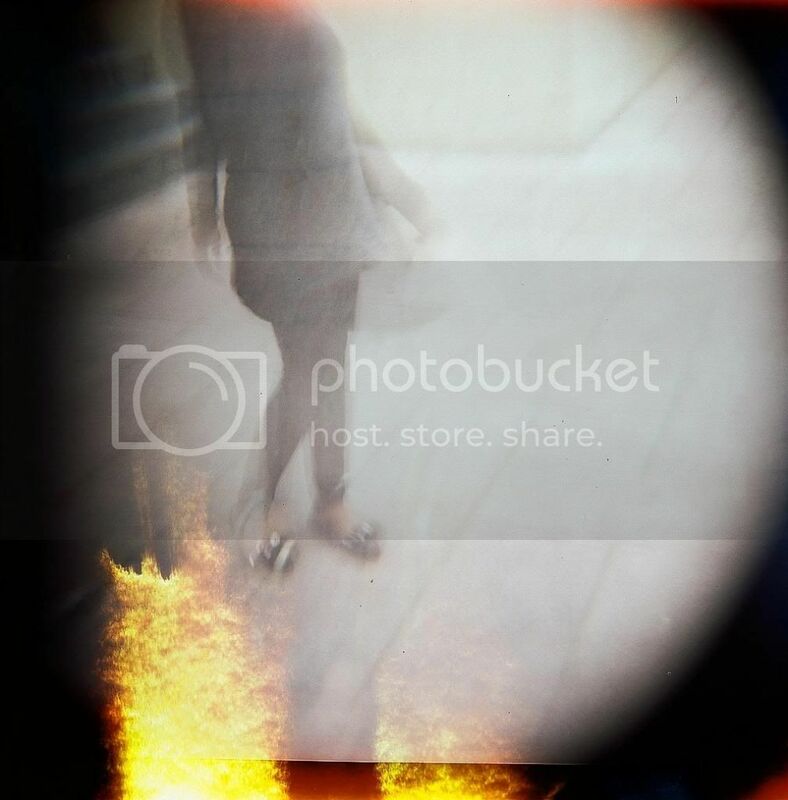 and yes the Diana F+ can give possible double exposure effect - love it! Which one is your favourite look from above? How about you? 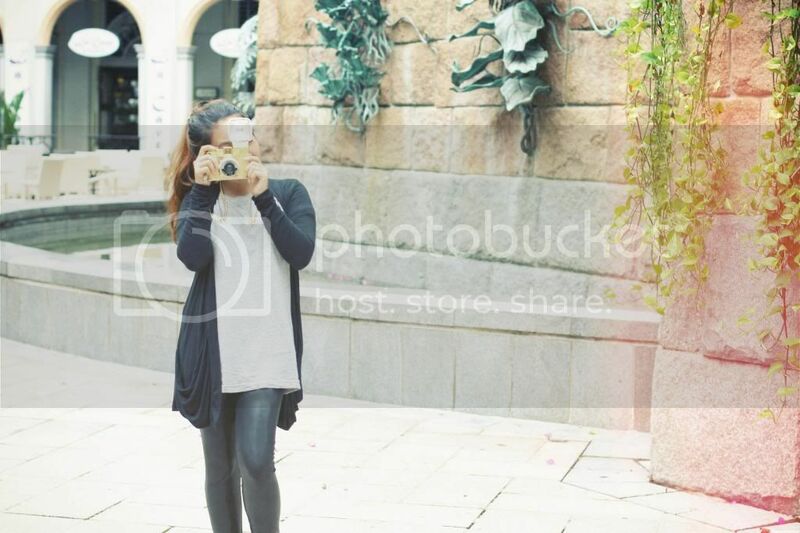 Have you ever tried shooting with one of the Diana camera? 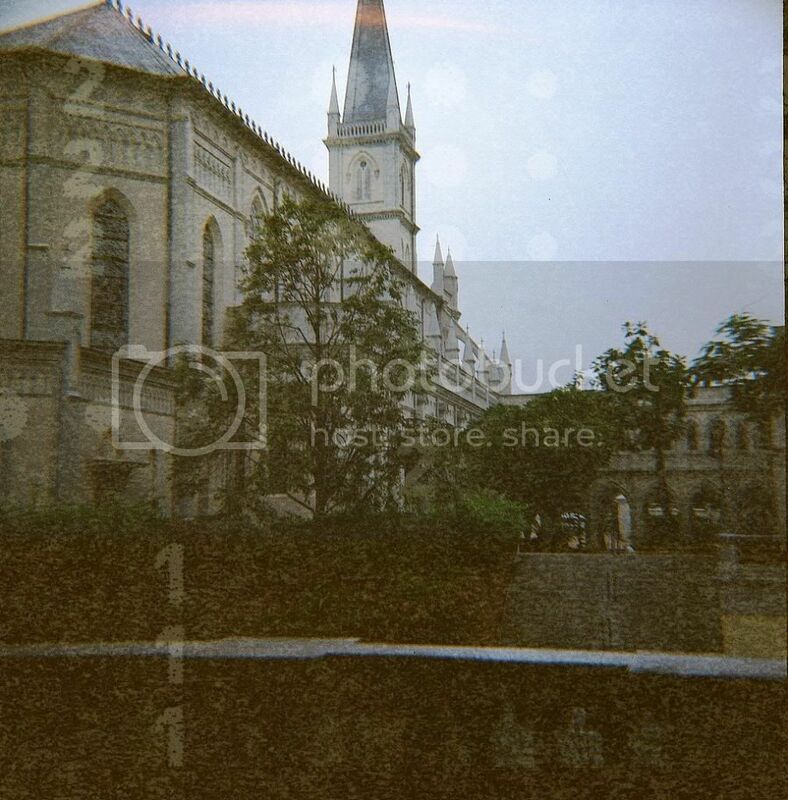 To see more or even share your photos of lomograph result, you can sign up to the page here. Love your blog. 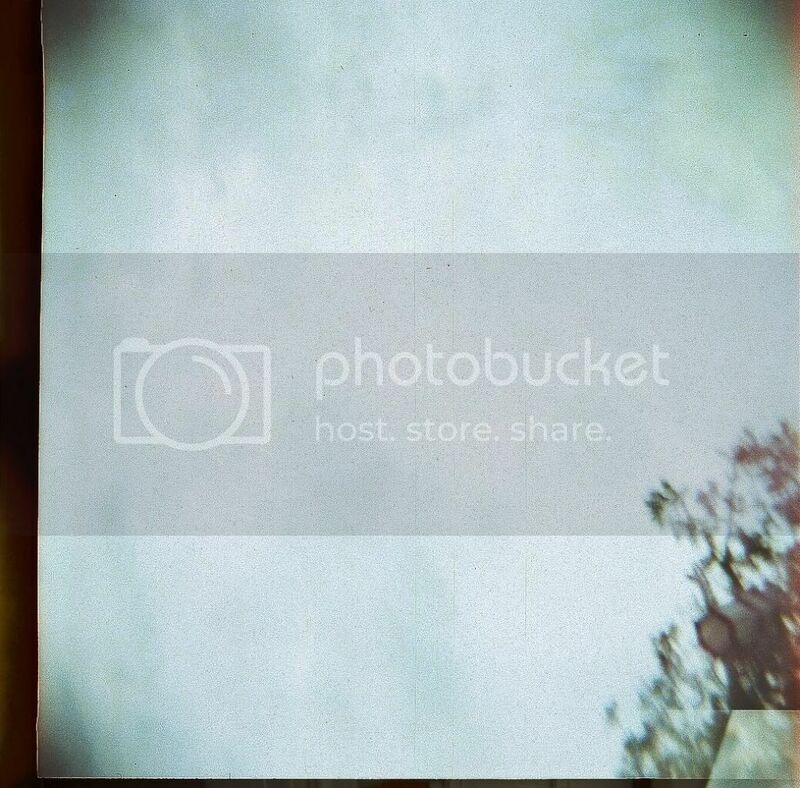 That gold camera is so fun. Thanks for checking out my blog :) You run a fabulous one here, well done! I love your evening look and that camera is amazing! the last look is my favorite! 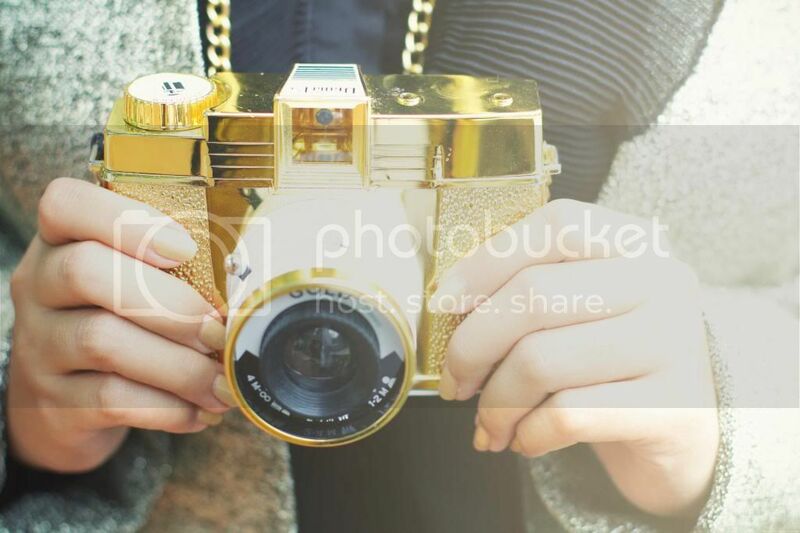 you look so fabulous with the gold dianaf lomo camera! i love that back dress, so gorgeous! Great outfits and amazing camera! 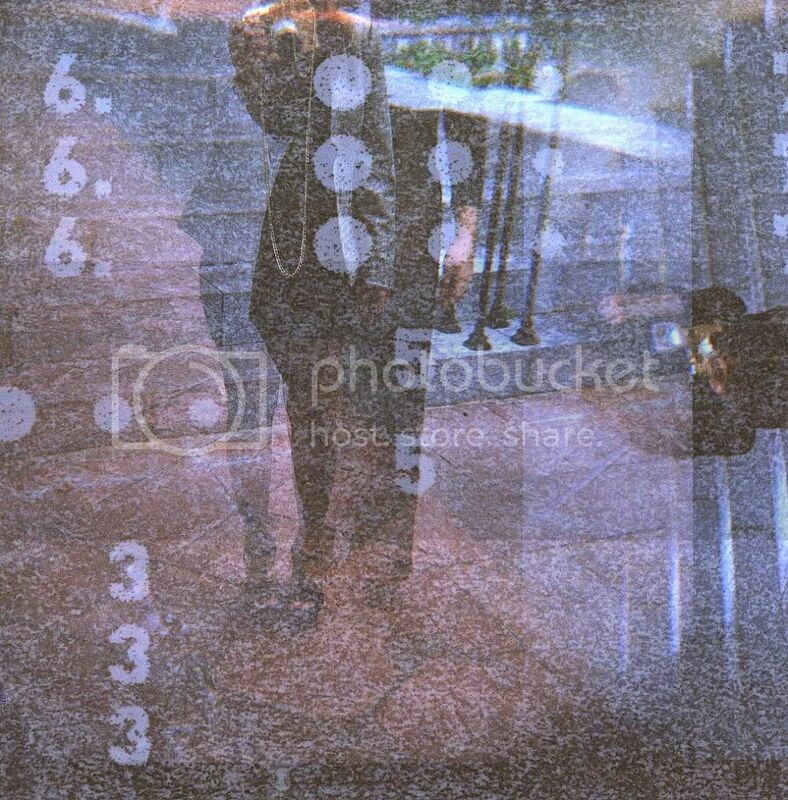 The resulting pics look very artistic. omg i want your camera! Looks so cool. 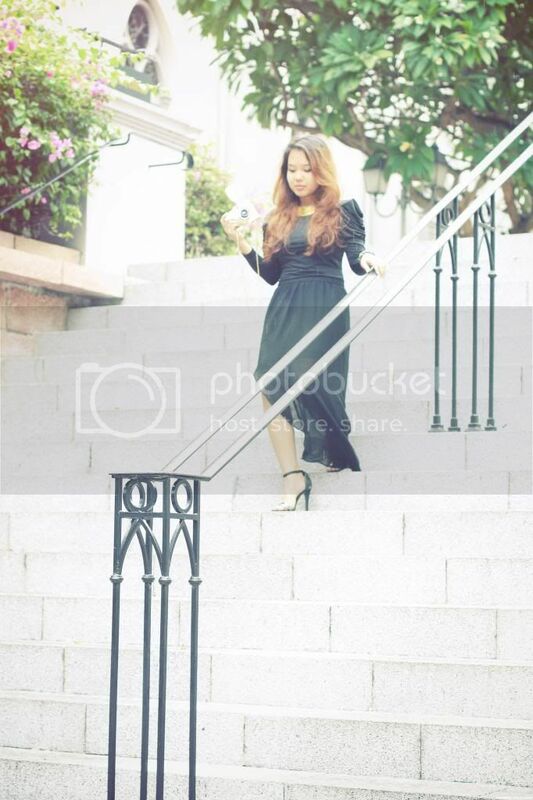 Love you in that long dress, you look fab. Happy New Year! I like the third look :) You look so chic! So stylish in all three outfits, and I love the camera to boot! Lovely post! I'm following and I hope you can follow me back..
the second look is the best one I think, but the others are great too! and also love the camera, lomos are so great! 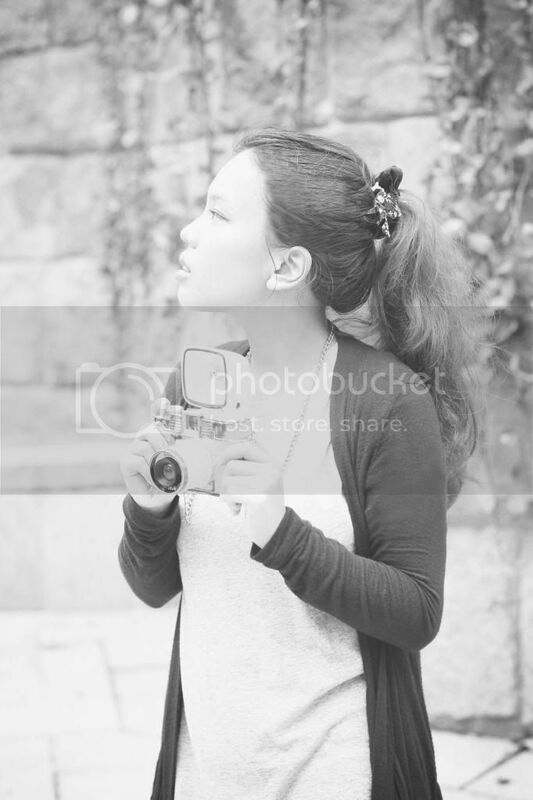 That cam is enviable! I love how luxe it looks! first look is my favourite! Looking good! Love the new diana cam. 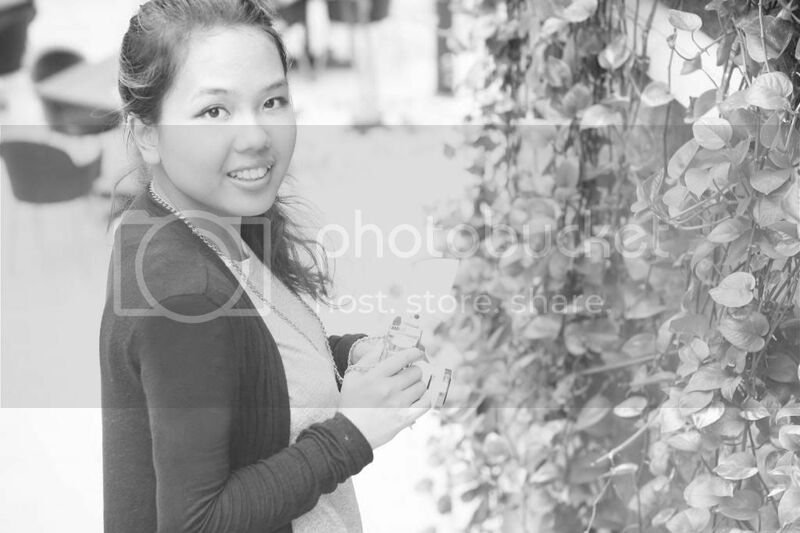 love love love the camera! stunning! I'm not sure why but the color of the camera is great. 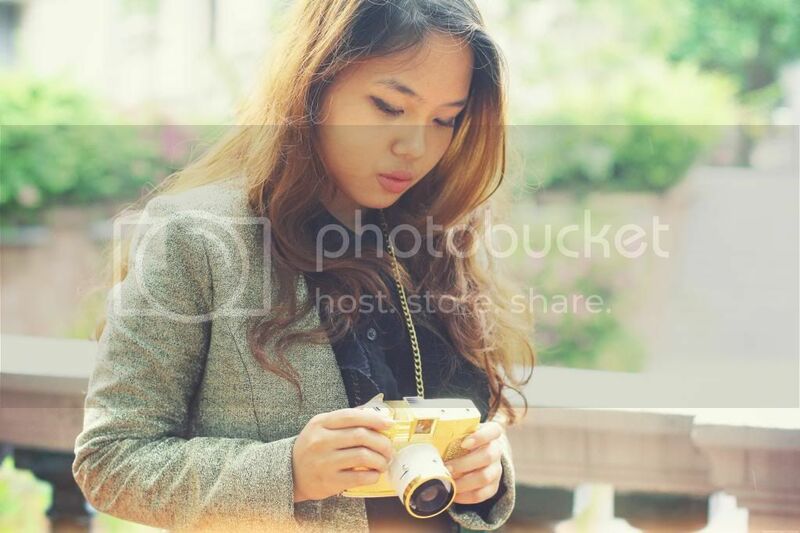 I love the gold tone and it goes so well with your muted clothes. Your blog is so amazing and I love this post! 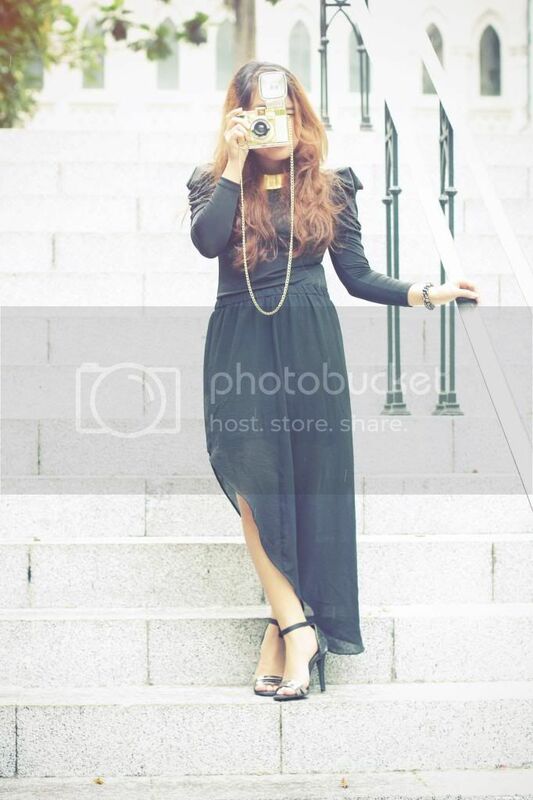 These are such amazing photos and i cannot wait to read your next post :) your outfits are gorgeous!